Select the Service(s) Your Business Needs! Do you want to learn how to make your company more successful? Is this your first startup company and you want to "do it right"? Are you a first-time CEO or an experienced CEO facing some tough challenges? Do you need to raise capital to start or grow your business? Idea To Growth LLC was formed to help Entrepreneurs and CEO's learn the best techniques and have the best tools to help you make your businesses more successful! "The best stories ever told consist of 7-elements." "The 1st Story element is you - the Client - who is always the Hero of the story." "The 2nd Story element is the Challenge that the Hero (you, the Client) are facing." "The 3rd Story element is the Hero (You, the Client) seeks a Guide (Me, the Vendor). The Hero is never looking for another Hero. The Hero is looking for a Guide to point out the paths to success and where the enemies are waiting to try to kill the Hero." "The 4th Story element is the Hero (you, the Client) asks the Guide (Me, the Vendor) to help Create a Plan. The Hero trusts a Guide who has a Plan." "The 5th Story element is the Hero (you, the Client) receives a Challenge from the Guide (Me, the Vendor) to push the Hero to take Action. The Hero is often stuck in neutral not knowing the best course of action. The Challenge from the Guide pushes the Hero into Action." "The 6th Story element is the Hero (You, the Client) gets help from the Guide (Me, the Vendor) to avoid Failure. In stories, the Hero will be faced with Death at every turn, but the wisdom the Guide shares with the Hero enables the Hero to avoid Death." "The 7th Story element is the Hero (You, the Client) gets help from the Guide (Me, the Vendor) to find a path to Success. In stories, the Hero in the end always achieves their goal - saving the boy or girl - or in your case, having a more successful company." I have always shared my belief that with every engagement, each person should strive to give the other person a "Great Story to Share", otherwise, you are wasting each others time. I can promise you that this will be my goal should you, the Hero, choose me to be your Guide for your Story. With our Executive Coaching options, you will meet 1-on-1 with our CEO, Kenneth Young. Kenneth will listen to you explain your challenges and work with you to make an actionable plan to attack and solve them. He is a 25+ year experienced executive and serial Entrepreneur. Kenneth's companies have successfully raised over $100M. He has one IPO (Initial Public Offering) and several exits to acquiring companies under his belt. Kenneth serves as an Alumni Mentor at GaTech where he received his Bachelor of Electrical Engineering degree. He serves as a Mentor and Investor Pitch Coach at the Tampa Bay WaVE, Tampa Florida High-Technology Accelerator. Kenneth has the Executive Experience to Help you Solve the Challenges you Face in most Business Situations. With our Website Development team, we will analyze your current website and recommend any changes that would help you bring in more clients and revenue. The requirements for a modern business website has changed. Today your business website must look and work great on not only the desktop but also on tablets and every size mobile phone. Websites with this ability are referred to as "Responsive Websites". Business websites today must also be secure. This is true if your business website does not sell your products and services. In early 2018, all browsers began to display "Not Secure" next to your businesses URL if your website did not have an SSL Certificate installed on your Host's web server. This encourages your business website visitors to run away from your website! Business websites today must also load quickly on your visitor's devices. We custom build every client website not only for a great look but for a great user experience. The first user experience is how quickly your home page loads on any of their devices. We make that 1st experience a very quick one! Website Security - Keep Your Website Secure to Keep the Bad-People Out! Raising funds for your startup company has always been one of the greatest challenges that an Entrepreneur faces. The challenge starts when you and your team put together your Investor Pitch Deck. I help you solve this challenge in my 1st book, "10 Slides to Startup Funding Success - An Entrepreneurs Guide to Startup Fundraising". The next challenge is to assemble all of the Investor Due Diligence material that the Investor will want to review prior to making their decision to invest - or not! I have been through this challenge multiple times with my startup companies. If you don't handle the process the right way, you can spend months gathering the material and never close the funding round. If you do it the right way, you can close and fund the round in as little as 30 days, possibly even less! In my 2nd book, "Investor Due Diligence", I teach you the items you need to gather for the Investor. I then explain the best way to assemble and present the Investor Due Diligence material. But, I wanted to make the process even easier for my Startup Entrepreneurs! I created the Investor Readiness Platform - a Software-as-a-Service program that takes you step-by-step through the entire process of building the Investor Due Diligence Book that you can share electronically with your Investors moments after you hear them say the magic words "We want to start the Due Diligence Process in order to make an investment in your Startup". 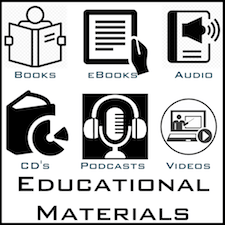 With our Educational Materials, you can choose your best method of learning. If you like to learn through books, you can buy my books in your favorite medium - Paperback, eBook, Audio Book, and Book on CD - and learn about how to best tackle a variety of business issues. My first book series is "The Successful Startup Entrepreneur Series". In this series, I tackle every issue that arises in building your startup through the 4-Stages that every successful business will travel - Idea Stage - Build Stage - Launch Stage - Growth Stage. My first book "10 Slides to Startup Funding Success" - Angel Investor to Venture Capital: Seed Capital Through Series C - Step-by-Step Guide To Successfully Raising Startup Funding" will be available in paperback in Q4 2018 through the Amazon Bookstore. My second book "Investor Due Diligence" - Angel Investor to Venture Capital: What Investors Need to Know to Fund Your Startup" is expected to be published in paperback in early 2019. I also have a series of eBook Guides exclusively for my Club Members via my website. Joining my Book Club is 100% Free as are most of the eBooks. A few of the eBooks will be available to Gold Club members only for a nominal monthly Gold Club Membership fee. More details are coming soon! If you like to learn by listening to podcasts (I do!) we have a weekly podcast starting in early 2019. Like the video series, we will cover the same business topics but in audio form. Additionally, there will be interviews with executives of businesses at each of the four stages of a successful business - the Idea Stage - the Build Stage - the Launch Stage, and - the Growth Stage. If you like to learn through videos, I have a full suite of videos starting in early 2019. These videos will be targeted at educating you across the full range of business topics that every leader will have to handle in their business as they grow from the Idea Stage to the Build Stage to the Launch Stage to the Growth Stage. Most of these videos will be free if you become a member.